Colleges in Kancheepuram help the aspirants in gaining higher education in various fields such as engineering, arts and social science, law, commerce, medical science, journalism etc. Several colleges situated in Kancheepuram/Kanchipuram are Maamallan Institute of Technology, Adhiparasakthi College of Pharmacy, Sri Padmavathi College of Engineering, Pallavan College of Engineering etc. Maamallan Institute of Technology is situated in Kancheepuram/Kanchipuram (Tamil Nadu) the institute is managed and run by Maamallan Educational Trust. It is affiliated to Anna University and approved by the All India Council for Technical Education (AICTE), Government of India, New Delhi. Undergraduate courses in the field of engineering and postgraduate courses in management (MBA) and computer applications (MCA) are offered by this college. Adhiparasakthi College of Pharmacy is situated in Kancheepuram /Kanchipuram it works under the management of Adhiparasakthi Charitable, Medical, Educational and Cultural (ACMEC) Trust. It is affiliated to Tamil Nadu Dr. MGR Medical University, approved by All India Council for Technical Education (AICTE), Ministry of Human Resource Development, Government of India and Pharmacy Council of India (PCI), New Delhi. It offers undergraduate program in the field of pharmacy - Bachelor of Pharmacy (B. Pharma). Sri Padmavathi College of Engineering is a self-financing private college recognized by the Government of Tamil Nadu. It is approved by the All India Council for Technical Education (AICTE) Government of India, New Delhi and affiliated to Anna University. It offers courses in the field of engineering and technology, at the undergraduate degree level. Pallavan College of Engineering is managed and run by Pallavan Educational Trust. It is approved by the All India Council for Technical Education (AICTE), Government of India, New Delhi, affiliated to Anna University, Chennai and recognized by the Government of India and Government of Tamil Nadu.. It imparts courses in various fields of engineering, at the undergraduate level, management and computer applications at postgraduate level. Additional facilities provided by the colleges in Kancheepuram are Library, Laboratories, Well equipped class rooms, Sports, Placements, Seminar hall, Computing and internet facilities, Hostel, Mess facility, Transport facility, Medical facility, Extra-curricular activities, Canteen, Hostels for girls and boys, Transportation, Bank and Postal services, Medical facility, placements etc. Get connected to different colleges in Kancheepuram which is just a click away. StudyguideIndia will provide you the information as required by you. Information which is provided here is correct. If at all you come across any errors you are requested to kindly let us know. 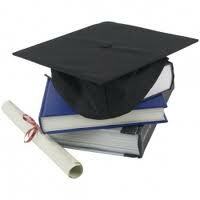 "Following are the list of Colleges in Kancheepuram. All Colleges in Kancheepuram are divided location wise. We have even listed Colleges in Kancheepuram as per alphabetical order making it easy to find the desired college and information on it. If you come across any College in Kancheepuram which is not found in our list below, please do let us know by using add in list which is default in our website”.